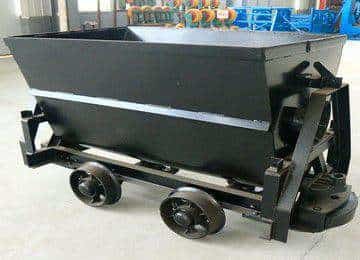 Bccket tipping wagon, also known as mine car , is a transportation tool for moving coal, ore, waste rock and material in the process of mining, dragged by a locomotive or winch. 1.Bucket Tipping Wagon can auto-flip without any ancillary facilities, flexible. 2.Frame is a metal structure which can withstand the traction, self motivation, car collision between impact force and the rail. 3.Firm structure, beautiful appearance, reliable performance, operational flexibility, smooth. 4.welding structure frame, reducing the effects of stress. 5.Guaranteed to run smoothly in corners and straights. Suitable for metal mine or other mine along the underground tunnels and the surface working site. Pictures are for reference only .Please contact sales for confirm. Bucket tipping mine car is towed by locomotives or winch to work on the narrow roadways in order to achieve material transportation. 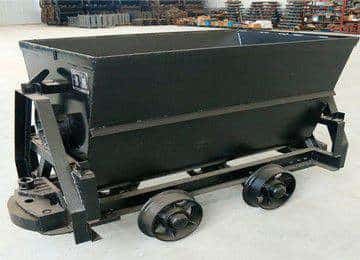 Bucket tipping mine car mainly include carriage, frame, buffer, open-wheel set , tipping curve connection chain and bolt , etc. Mechanical and physical properties of the material is not less than Q235-A steel. Technical conditions are in accordance with JB/T6992-1993. 1.Steel Material before welding should be straight, surface flatness shall not exceed 3 ‰, but the maximum must not exceed 6mm. 2.Carriage two diagonals difference must be not greater than 6mm. 3.Transition at both ends symmetrically at the trunk vertical centre plane installation, the symmetry tolerance to 4mm, the position size deviation shall not be greater than 2mm. The frame is designed into metal structure,which can withstand the traction. Welded by channel steel, shaft card,etc.Technical conditions are in accordance with JB/T6992-1993. 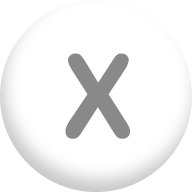 1.Two frame sides parallel degree of tolerance for the length of 2 ‰.The flatness tolerance of the flame is 2 ‰ to the frame length (buffer not included ), but the max flatness tolerance should less than 5 mm. 2.The center plane of the frame traction device should be symmetry to the longitudinal center plane of the frame, and its symmetry tolerance should not exceed 6mm. 3.Traction device center of the frame side symmetrically to the longitudinal centre plane of the frame, the symmetry tolerance is not exceed 6mm. Open-wheel Set: wheel, axle , axile bearung. 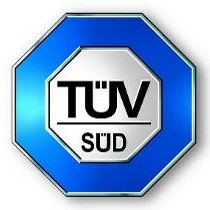 Technical conditions execute JB/T6992-1993. 1. Before wheel set assembly ,should clean the iron filings and blockage and cleaning all parts; during bearing assembly, should adopt no shock load method; After loading bearing, wheel rotation should be flexibility. 2. Surface heat treatment hardeness of wheel set tread of≥40HRC. 3. Wheel set seals should be tight and reliable. Before assembling,all the parts should be inspection qualified. All parts should be clean, and assembly in a clean environment. Assembled dimension deviation: the total width of mine material car and the high traction deviation of ± 3 mm, total high deviation of ± 8 mm, length deviation of ± 10 mm. Trunk installed symmetrically to the longitudinal centre plane of the frame, the symmetry tolerance to 5mm. 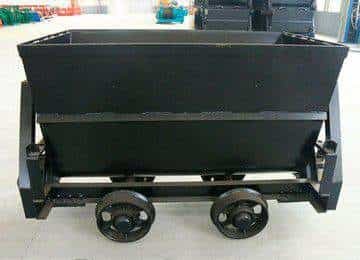 Assemble mine car should be placed in a special straight road to check, and does not allow a clearance between wheel and rail is greater than 2mm. Grease, dirt, the scrap iron and blockage should be removed before attempting assembling. Wheel should not appear crack, 10 mm in length range appeared on top of the rim and the end part of the profile of tiny crack, should not be more than two. Tread should not be welded,except within the following: a) Each of the small dense surface pinholes and hemp holes which the diameter less than 1mm,depth less than 2mm , should not exceed 225mm2, the total area should not exceed 900 mm2; b) The amount of pores that diameter and depth within 3 mm , sand holes, slag shall not exceed six, distance from each other in more than 30 mm.But distance unlimited when diameter and depth exceed 2mm; c) The cold shut that length does not exceed 400mm, the width does not exceed 2mm, depth does not exceed 1mm . Surface defects such as trachoma, porosity of round hole,that the area smaller than 16 mm2, the depth is less than 3 mm, 30 mm apart or more, shall not exceed three. To die casting wheel, the round beating quantity of the wheel diameter D should not be larger than 1 mm;To sand casting wheel, the circular runout amount should not be larger than 0.5 mm. The wheel after normalizing organization should not shown network structure, its grain size should not be larger than 6. Coaxial degree of axle bearing installed omply with the provisions of the figure below. Connection device is composed of connection three-ring chain, bolt. Connection three-ring chain conforms with the standard requirements of" MT 244.1 - 2005 coal mine narrow gauge vehicle fittings connection chain ". 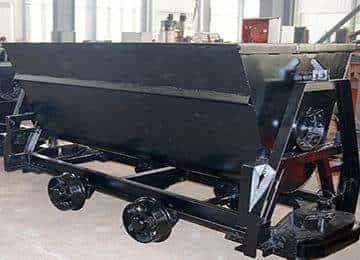 Connecting pin conforms with the standard requirements of"MT 244.2-2005 mine narrow gauge vehicle connector connecting pin". Bumper technical conditions in accordance with JB/T6992-1993 Buffer has enough strength, cushioning material toughness value of not less than 30J/cm2,cast steel bumpers there shall be no crack, on the surface of cast steel bumper bolt hole and end face not allowed any defects and shall not carry out welding. 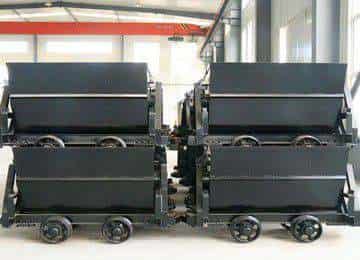 Bucket tipping mine wagon should be placed on level track, open the locking mechanism several times. Locking mechanism should be simple, reliable, secure, flexible, and convenient operation. Run at a constant speed with 1.5-3.5M/s speed, check reliability of frame while braking, brake components should be connected to solid, reliable braking, brake scoth should leave the wheel tread on time when forces leave the brake pedal. 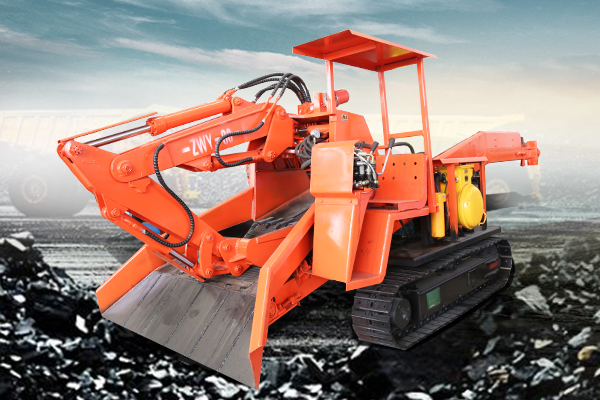 Flip when unloaded flexible uninstall angle ≥ 40 °, after open the locking mechanism manually, bucket tipping mine car can easily and flexibly to either side of the longitudinal centre line. According to GB/T1239.4 to test metal spring; According GB/T1684 to test rubber Springs. Mine car should be without serious damage, wheels should be flexible, non-blocking. Within 6 months since received, mine car damaged or not working properly due to poor manufacturing quality, supplier shall repair for free. Bearing cage opening towards out when replacing, maintain proper clearance. Seals should be used the original distributionA. operate strictly to the rules. B.Do not allow overloading.C. Do not do any cleaning during working process. 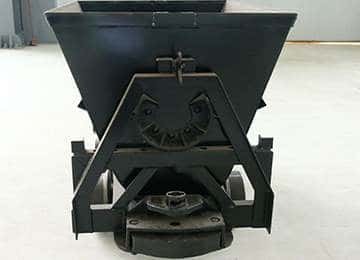 Commend: Please provide your best offer for KFU Mining Bucket Tipping Wagon. Customer Services: Your requirements have been sent to a professional sales manager who will contact you asap! 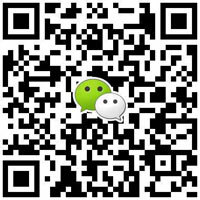 Customer Services: Thanks for your support to us and our sales will contact you soon! Commend: This machine bought from your company several days ago works well. Customer Services: Your satisfaction is a greatest affirmation for us.